On the occasion of World Autism Awareness Day (WAAD) on April 2, 2017, Center for Child and Adolescent Well Being (CCAW) in collaboration with Child Mental Health Foundation (CMHF) attempts to spread nationwide awareness for Autism Spectrum Disorder through a carnival for the Autism Community and mental health professionals. India is finally having a speed of more than 1GBPS. ACT Fibernet has brought this speed in the city of Hyderabad, though company plans to take this further into other cities particularly in Bangalore and Chennai where the company has presence. Unleashing the magic of virtual reality, India’s largest multiplex chain, PVR Cinemas in association with HP India has launched Asia’s first HP Virtual Reality (VR) Lounge at PVR ECX, Mall of India, Noida. PVR Patrons will now be experiencing a new dimension of entertainment while they wait for their film to begin. With this initiative PVR becomes India’s first multiplex to bring in a never-before experience to its users with a rich variety of immersive and interactive content. DataWind has yet again come up with a new innovative product – VidyaTab-Punjabi. The leader in delivering Internet access to emerging markets, Datawind, has partnered with Vismaad Inc., the leading developer of educational and animated Punjabi content to launch the first ever Punjabi education Tablet. The Tablet was launched in the presence of Honourable Bardish Chagger, Canada’s Minister of Small Business and Tourism and Leader of the Government in the House of Commonsand His Excellency Mr. Nadir Patel, High Commissioner for Canada to India. Zone Startups India celebrated its 3rd Anniversary by inaugurating a new accelerator space and announcing a few new initiatives, in the presence of Hon. John Tory, Mayor of Toronto, and Mohamed Lachemi, President, Ryerson University, accompanied by a large Canadian business delegation. The event witnessed participation of several leaders from the Indian startup ecosystem. Today VIKTRE, a content publishing platform and online community for professional athletes and fans, celebrated its expansion into the Indian market. Alongside dozens of India-based partners, the sports networking site kicked off its latest project with Zaheer Khan, Rohit Sharma of the Indian cricket team, respectively. Curated to showcase the life of an athlete, VIKTRE provides a multi-faceted network and community for professional athletes to connect on a more personal level with their fans. The platform features two interfaces: One for fans to interact with their favorite athletes via exclusive content, and one for professional athletes of all levels to interact with each other in a private, peer-to-peer setting. TeraReach, India’s leading influencer marketing and Digital PR agency, has unveiled its latest product-based offering Qoruz. It is one of the finest influencer discovery, outreach, and community building platform, providing an end-to-end influencer marketing solution. Initiated after intensive research, founders Praanesh Bhuvaneswar and Prabakaran are all set to revolutionize the influencer marketing space in the country with this launch. Arvind Kejriwal, Chief Minister of Delhi Government, has once again outlined the initiatives of government. Technology decisions which his government has taken stand no where closer to the promises he had made before. It is however difficult to ascertain if these decisions have helped the people of the state. Gionee announced the launch of its first flagship of the year, A1, in India. Continuing the Gionee legacy, the brand new A1 offers longer battery life with ultrafast charge and enhanced picture quality to capture great selfies. Equipped with a stunning 16MP front camera which offers clearer and more beautiful selfies, A1 will allow users to capture, enjoy and share all their favorite selfie moments without having to worry about battery drainage thanks to a long lasting 4010 mAh battery and ultrafast charging capability. A1 is also loaded with a faster and safer fingerprint unlock and the latest Android 7.0 Nougat with Amigo 4.0 amongst a host other innovative features. 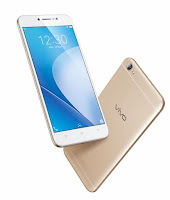 Vivo announced the launch of its latest Vivo Y66 in India. Packaged with exciting features, the device is designed in line with Vivo’s commitment to redefining the perfect selfie experience and it falls into their affordable segment of smartphones. The VIvo Y66 is an attractive choice for valued customers and will be priced at Rs 14,990/-. Coolpad Note 5 lite is the younger cousin of Coolpad Note 5. The new phone boasts of all those features which are there in the senior phone. However, the screensize is little smaller when it comes to Lite version. But it does not mar the user experience. It in fact fits well in the pocket. Due to the increasingly competitive nature of the market, it is clear that financial institutions need to bring new products and services to market in a faster, more efficient manner quickly. An increasing number of near and non-banks are already offering services related to payment transactions, the credit industry, and investment consulting and this trend will continue. 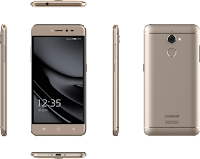 Coolpad unveiled the Note 5 Lite, the next edition of their widely popular fingerprint smartphone Note 5. It is another addition to the note series known for its elegant design, superior technology. The newly launched phone sports a sleek metal body combined with an 8-megapixel front camera integrated with a fingerprint scanner at the rear. The phone will be exclusively available on Amazon.in at a price of INR 8,199. It will be available in variants of gold and grey starting via open sale from 21 March, 2017. Aeries Financial Technologies announced that CASHe, India’s fastest loan giving app for young salaried professionals, has entered a strategic partnership with Rubique, India’s leading online marketplace for financial products. In this collaboration, Rubique will enlist CASHe on its online platform for borrowers to avail viable short-term loan products from CASHe. CASHe disburses multiple loan products ranging from Rs 5,000 to Rs 1,00,000 payable over 15, 30 & 90 days. Ziox Mobiles, under the aegis of Sun Airvoice Private Limited, announces ‘Z23 under its popular Zelfie series’. Shine in style with a feature phone that supports your love for selfie paired with BIG Battery Life all in a feature phone. SAP SE announced that Celkon Mobiles, the leading consumer mobile handset brand in India, has implemented an entire innovation platform that was developed on SAP Cloud Platform, for managing its nation-wide distribution network. The company’s objective was to mitigate high costs and improve efficiencies in its supply chain process and channel systems, in order to maintain its competitive edge. SD Squared (SD2), a company offering tech outsourcing and cloud management solutions, is announcing the full public launch of its new cloud management platform, CloudOps.ai, that lets users tap into the power of Amazon Web Services (AWS) easily and affordably in what it calls the “Upfront Cloud”. As part of CloudOps.ai, SD2 is launching a new prepaid AWS wallet that gives customers the option of avoiding bill shock, and not needing a credit card to access the free tier. Moto G5 Plus has finally come to India and is available at a very attractive price-point. The Moto G5 Plus flaunts a combination of advance features and premium design. Fast processors, great battery life, rapid charging, fingerprint reader, and advanced camera features all wrapped up in one device at an affordable price. An unexpected combination, because different is better. Facebook and TLabs accelerator have partnered to strengthen the mobile startup ecosystem in India. Both Facebook and TLabs have a strong focus and expertise on Internet and Mobile businesses, and will build on the knowledge and learnings of in-house senior mentors to engage and educate budding entrepreneurs. As part of this partnership, they will co-host multiple events for solving startups’ issues around user experience, analytics, app installs, monetization and more. To further empower its customers, Vodafone India has introduced innovative service for its subscribers in Maharashtra & Goa - Vodafone Private Recharge - a free of cost service, which enables users to recharge their prepaid number without sharing the mobile number with retailers. Conduent Incorporated named Lokesh Prasad as Chief Executive Officer, Conduent India. Conduent launched earlier this year following a separation from Xerox Corporation. In his role, Prasad will be responsible for further developing the $6.5 billion company’s presence in India and growing the 10,000-employee workforce across six cities, including Bangalore, Kochi, Gurgaon, Noida, Indore and Chennai. Prasad will be based in Gurgaon. Setting the stage for Government of Andhra Pradesh’s ambitious initiative, #SpringConference 2017 was inaugurated at Novotel, Visakhapatnam today. Fintech Valley Vizag is Government of Andhra Pradesh’s flagship initiative that brings together industry, academia and investors to innovate, co-create and build the fintech ecosystem. The Fintech Spring Conference 2017 marks the beginning of this journey. The primary objective of the event is to explore trends and opportunities in fintech. This is a platform where the finest minds of financial and startup community get to share mind-space with thought leaders, business leaders, artists, actors, musicians, futurists and entrepreneurs. AccuWeather, a leader in weather information and digital media, has announced the launch of new data and analytics solutions in Google's Commercial Dataset program. Newly integrated on Google Cloud Platform, leaders can view the impacts of weather on business performance to make data driven decisions that drive results. The 7th edition of Digital Marketing and Advertising Conference and Exhibition in India, ad:tech featured a special innovation zone that showcased new technologies in digital marketing. Ingram Micro Inc. announced the global availability of the Ingram Micro Cloud Referral Program, a solution for resellers to drive additional commissions simply by directing their end-customers to Ingram Micro Cloud’s new referral website. SAP SE announced that developers using the free express edition of SAP HANA can expand their memory use by purchasing a low-cost license from the SAP® Store with their credit card. Developers can purchase a 6-month or 12-month term license to expand applications with up to 64 GB, 96 GB or 128 GB of memory use. Additional memory enables developers to crunch larger data sets and perform advanced analytical processing against a wide variety of data types including text, spatial or graph with greater ease to deliver fresh insights via next-generation applications. Indian IT industry is powered by females at different levels. While we see thousands of them working at entry and mid level, some of them make to the top level in the IT industry. They are driving the growth in these companies and empowering them at every step. These women have set the precedent. PayPal, the global leader in online payments, announced the launch of Recharge, a unique six-week program focused on empowering women technologists to get back to work after taking time off to explore their passions, develop interests and strengthen families. The program is a part of PayPal’s commitment towards nurturing a culture of diversity and inclusion in the technology industry. Coursera, an education-focused technology company, is announcing a collaboration with Google to offer Google Cloud Training courses on its platform. Developed and taught by Google experts, these courses will be available on-demand for any current or aspiring IT professionals and data engineers. The Confederation of All India Traders (CAIT) and Ministry of Electronics and Information Technology (MeitY), Government of India jointly launches today a national campaign to promote the adoption of electronic payments in line with Prime Minister's vision of Digital India and less-cash economy. Geometric is pleased to announce that the Scheme of Arrangement & Amalgamation between Geometric, HCL Technologies Limited (“HCL”) and 3D PLM Software Solutions Limited (“3D PLM”) has become effective on March 2, 2017. Under the transaction the entire business of Geometric has been transferred to HCL. Simultaneously Geometric has been merged into 3D PLM. The Ministry of Electronics and Information Technology (MeitY), launched the “Digital Government Research Centre (DGRC)” in Patna today. The sate-f-the art R&D centre was inaugurated by the Hon’ble Union Minister of Electronics & Information Technology and Law & Justice, Shri Ravi Shankar Prasad in the presence of Ms. Aruna Sundararajan, Secretary, Ministry of Electronics and Information Technology, Ms. Neeta Verma, Director General, NIC, Dr. Omkar Rai, Director General, STPI, Dr Pushpak Bhattacharya, Director General, IIT-Patna and Shri Manoj Kumar Mishra, MD, NICSI among others. Lenovo Mobile Business Group announced the appointment of Sudhin Mathur as the Managing Director - Motorola Mobility India Pvt Limited. He has been inducted as a full-time director on the Motorola Mobility Board in India and has taken over as MD, Motorola Mobility India. Sudhin will also continue to serve the role of Executive Director for Lenovo MBG India. Huawei received the ‘Outstanding Contribution for LTE Evolution to 5G’ award at Mobile World Congress (MWC) 2017. This year is the first year that GSMA has chosen to present the award for 5th generation mobile networks (5G) and receiving such an honor helps to showcase Huawei’s contribution to technology evolution. Aeries Financial Technologies, a fin-tech company promoted by serial entrepreneur and private equity investor V. Raman Kumar, today announced that CASHe, India’s fastest loan giving app for young salaried professionals is now disbursing loans well over 1 Crore per day in less than a year of operations. CASHe now processes an average of 450 loan applications per day for young salaried professionals. CASHe is now India’s leading and most preferred fintech company in the personal lending space. With shifted focus to joint innovation towards 5G, the GTI Summit 2017 was held on 28th Feb. at Mobile World Congress (MWC) 2017 in Barcelona, as a significant milestone for the GTI 2.0 that strives for further promoting 4G evolution and 5G development, to build everything connected world through cross-industry collaboration. CloudWalker Streaming Technologies, a tech start-up creating digital ecosystems for large format screens directly through smart TV or through conversion of existing TVs into smart TVs, is launching what it says is ‘The Smartest Smart TV’ ever, the Cloud TV. CloudWalker developed its own User Interface powered by a CDE (Content Discovery Engine) which curates digital content available on the internet on Free, Premium or Freemium basis and also helps discover Apps that can be viewed on TV. Bharti Airtel said that it has been rated as India’s fastest mobile network by Ookla - the global leader in broadband testing and web-based network diagnostic applications. This latest recognition, furthers cements Airtel’s position as India’s best smartphone network that consistently enables a superior online experience for customers. HDFC Life announced the launch of India’s first life insurance chatbot in collaboration with Haptik, India’s largest chatbot platform. The chatbot will act as a financial guide to help users choose the most suitable life insurance plans and solutions.